Chad Ochocinco is on cloud nine. Why? Because his new teammate, Aaron Hernandez relinquished his number 85 to Chad for nothing. 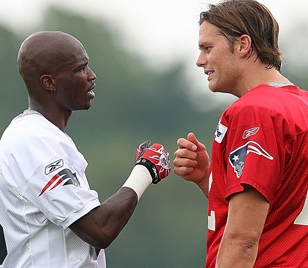 I can’t stand Ochocinco and well, I guess him moving to the Patriots and keeping his stupid number will just fuel my hate for New England even further this year.